Mukesh Ambani, the fifth richest man in the world and the head of Mumbai based petrochemical giant Reliance Industries. His wife Nita Ambani, while staying at a Mandarin Oriental in New York, was impressed by its interior Asian style décor and wanted something similar to live in. 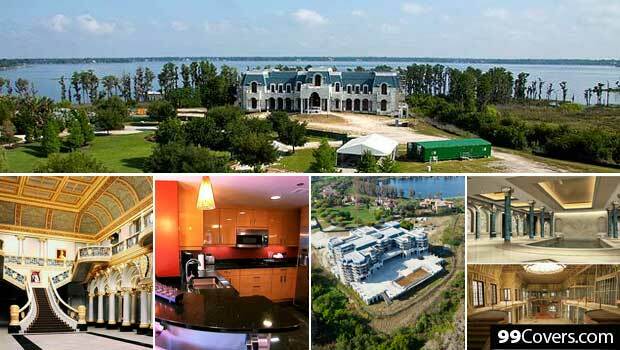 As a result, the world’s largest and most expensive home. Each story of the Antilla has its own unique specification as well as its vast variation of materials add to its overall cost. Hirsche Bedner Associates are the designers for this project. Updown Court of England was known to be the most important private residence in England since the 19th century. However, this property is best known for its price; this property is worth more than 150 million USD with over 103 rooms, 5 swimming pools and 24 carat gold leafing on the mosaic floor. As well, the Updown Court has its own squash court, bowling alley, tennis court and 50 seat screening room, heated marble driveway and its very own helipad. With their front gates modeled after the Palace of Versailles in France, Versailles is best known as the largest house built in the United States. This lavish house boasts to have 30 bedrooms, its own bowling alley, roller skating rink and Olympic sized swimming pool. With 18 months of work still required to be carried out on this property, the market cost of Versailles was estimated at 75 million USD. Experts believe that a further 25 million USD is required before anyone can move in. In addition to the 30 bedrooms, the Versailles has 23 bathrooms with a view over Lake Butler, hand built windows, 20 space garage, three swimming pools, a large boat house, formal gardens and a one story gatehouse and many more. 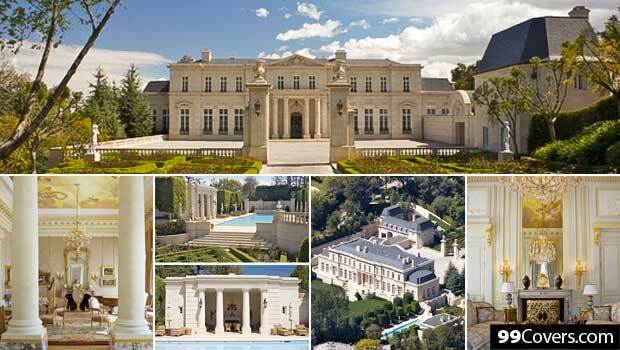 The palace brought together by the famous singer Mariah Carey, this house is located in Beverly Hills. 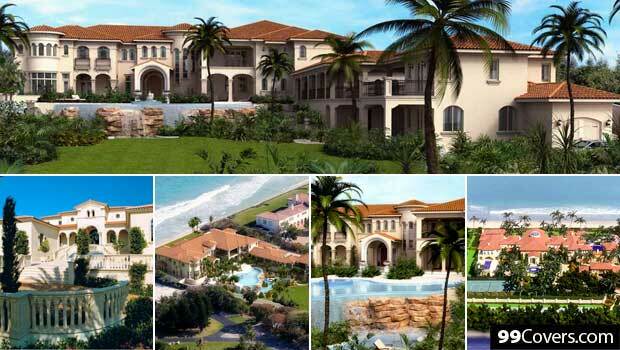 The Fleur de Lys is one of the most expensive estates reaching up to 125 million USD. This new dig is built by a Texas billionaire on 5 acres of land reaching up to 41,000 square feet of pure luxury and modelled after the Palace of Versailles in France. Surrounding this real estate are rolling lawns, ornamental gardens and trees, 3000 square foot manager’s house, staff quarters, a spa and pool and a championship tennis court. 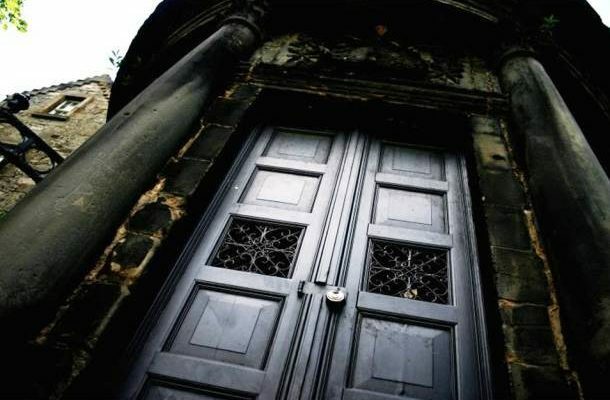 Hearst Mansion is also known to be the ‘God Father Mansion’. With an asking price of approximately 165 million USD, it is one of the most expensive residential properties listed in the United States. Former home to William Randolph Hearst, Hearst Mansion has 29 bedrooms, 3 swimming pools, tennis courts, its own cinema and a nightclub. In 194, Mr.Hearts bought the mansion for approximately 120,000 USD. However, in 2007, the current estate owner, who bought it in 1976, placed it in the market for 165 million USD. 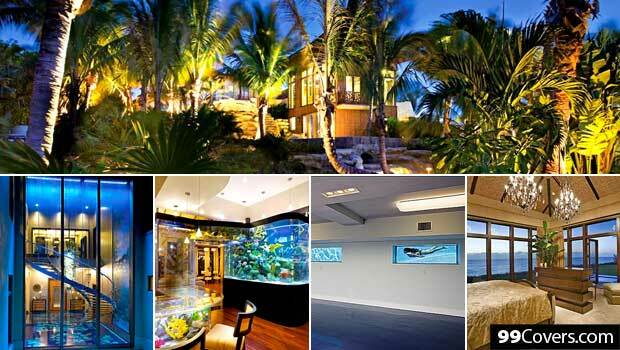 Owner to the home will have notable neighbours such as Tom Cruise and David and Victoria Beckham. Frank McKinney is known as the real estate “artist” and designed a 15,000 square foot “eco mansion”. The design of Acqua Liana was inspired by buildings built in Bali, Fiji, Tahiti and Hawaii. Being three stories high, 15,000 square foot, 7 bedroom and 11 bathroom mansion, Acqua Liana features floating sun terraces, a waterfall spa and an arched aquarium wet bar. Most notable about this mansion is that it has enough sonar panels to cover a basketball court, capable of generating energy for 2 to 3 average sized homes. In addition, Acqua Liana’s eco features include a built in water system collects run off water to fill the swimming pool and environmentally conscious lighting that reduces electricity consumption by 70%. 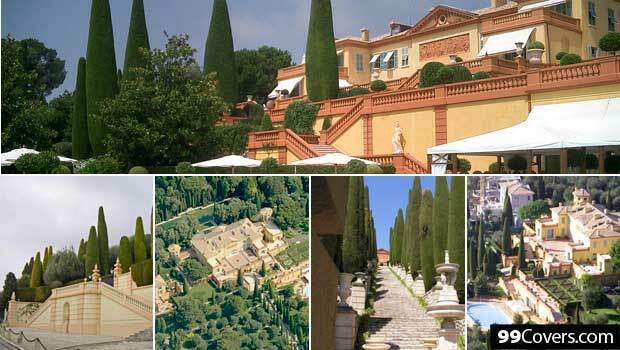 The Villa Leopolda in Villefranche-sur Mer was built for King Leopold II of Belgium in 1902. Villa Leopolda is so big that it would require 50 full time gardeners to cover 20 acres of garden for visitors can stroll amongst the cypress trees. 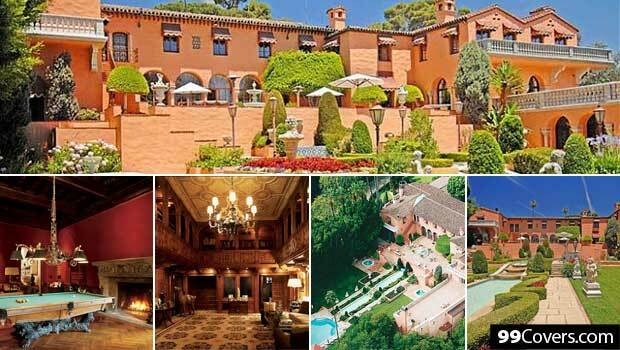 This magnificent estate is worth 750 million dollars! 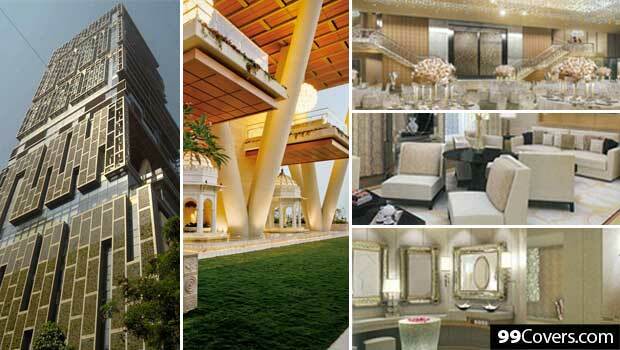 In 2008, the owner Lily Safra decided to sell this to a billionaire Mikhail Prokhorov. Making a 10% down-payment, he quickly backed out after a global credit crunch losing the 75 million dollar deposit. 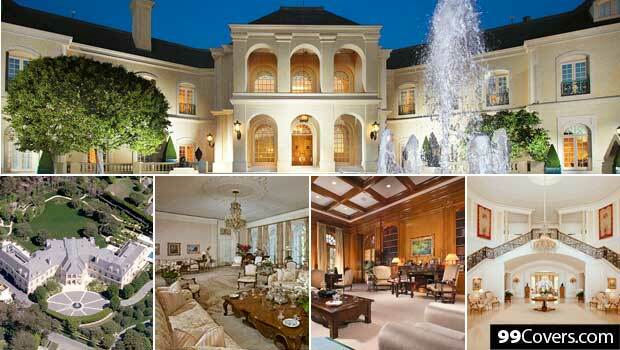 Aaron Spelling’s 56,000 square foot mansion was dubbed “The Manor” by his wife Cindy. Built in 1991, the mansion has 123 rooms. This mansion was built with nothing spared during the creation of this home, including an indoor skating rink, multiple pools, three kitchens, sports courts, private orchard and a bowling alley. In addition, there are unusual additions such as a room for wrapping presents and a floor dedicated to closet space. In 2007, Candy Spelling decided this mansion was a bit too large for her and decided to sell it, turning it into the most expensive estate of that time. Directly in front of the Atlantic Ocean-to-Intracoastal water property, the Manalapan Residence is set upon 5.5 acres that price up to 135 million. The Manalapan Residence is praised for its design and how it blends with Old World elegance and classicism with the 21st century facilities. Amenities of The Manalapan Residence includes 3-story ‘beach house’ and includes 67,672 square feet, 14 bedrooms, 24 bathrooms, 18 car garage, 6140 master bedroom suite, movie theatre, casino, club room, aquarium wet bar, gymnasium, beauty salon, shark tank, 2 elevators, bowling alley, tennis court and a go cart track. What else do you need in front of the ocean? 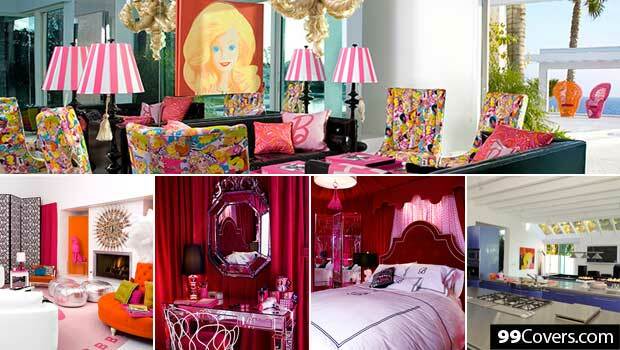 The Barbie Malibu Mansion is literally a life size mansion inspired by Barbie. In honor of Barbie’s 50th anniversary, Jonathan Adler, an interior decorator, designed a 3500 square foot pad overlooking the Pacific Ocean to look like a blond doll’s home. 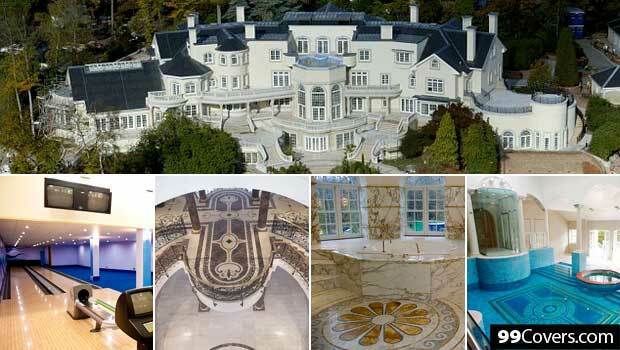 Although the size is much smaller than other mansions, the interior design is what makes this mansion the big deal. The bedroom is lined wall-to-wall with pink carpeting emblazoned with her initial. The closet is filled with 50 pairs of pink peep-toe heels while her kitchen is stocked with cupcake ingredients. An in-house museum features 25 vintage Barbie dolls. In addition, a pink Volkswagen New Beetle is featured to the design. This fantasy mansion is perched on a cliff in Malibu overlooking the ocean. Next Story → How Insanely Rich is Justin Bieber?